As a frequent juror, I notice the tendency of my fellow jurors to reject work thought to be poorly composed. Many artists, often photo bound to start with, fail to redesign their reference and take control of compositions. Consequently, in my occasional sorties into workshopping, I sometimes hand out a list of compositional keys. They are not rules — even if they were, they would have to be regularly broken. They are meant to be guidelines. Coincidentally, there are eleven keys on any ordinary keyboard that are useful in understanding them: they are S, O, (), !, L, ?, ^, M, P, H and X. S is the famous old eye-control lead-in where the river meanders, the path winds, the road disappears. O is the circular imperative that keeps the viewer’s eyes moving around within the work. () is the inclusion of eye-returning verticals that parenthesize on the left and right.
! is the long and the short of linear design. Exclamation brings excitement, finality and visual interest. L is the rectilinear lineup that gives compositional solidity. Objects sit on a secure ground. ^ is for softening near the edges. Equal focus bores the eye. Humans don’t like to be bored. M is for mystery, paucity and lack of disclosure. A good composition doesn’t need to tell the whole story. P is for patches. Patches trump lines. Better compositions are often an assembly of patches. H is for homeostasis. Overly regular, evenly spaced, mechanical interstices need to be scouted out and fixed. X is fraught with danger. While it’s great to have a central confluence of interest — X marks the spot — it’s also important to watch where any of those four legs might point or turn up. Watch the corners of your picture. Shooting the eye out of one of them can be bad news for you and good news for the painting next door. Esoterica: The main test of composition is engagement. How does it grab and hold you? The answer gives a key as to how it might grab and hold others. “Get the art of controlling the observer — that is composition,” said the American teacher Robert Henri. Hint: Pay early attention to what happens in the lower third of your painting. 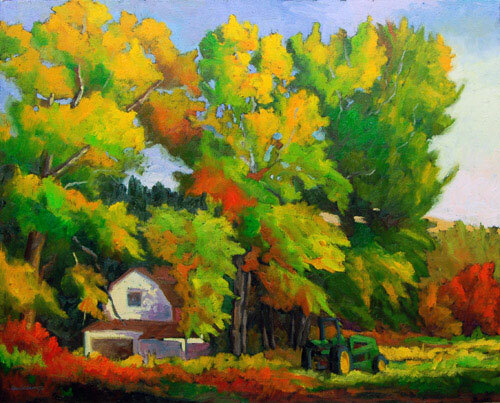 Often called “the foreground,” this is generally where the viewer’s eye first enters the picture. This is the place on the picture where composition begins. It seems hard these days to find out what the “rules” are, since breaking them seems to be the overriding rule. Does an artist break them if he doesn’t know them or is he just ignorant? I have needed to go back at least 60 years to find useful books on the rules that are being “broken.” In any case, HILTOXY is a keyboard acronym highlighting compositional guidelines that I was taught, each letter being a possible structural idea, either alone or possibly in combination with other letters. In this case, contrary to your guidelines (and Edgar A. Payne), S was a motif over a different structural idea. 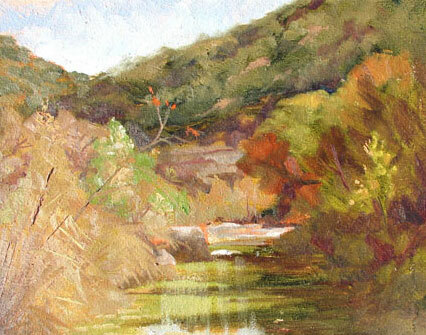 This is an image of a recent plein air painting, an “L” with an “X”, I think. I’d like to see a discussion of chroma as a compositional device since I believe you use it effectively. Could you share what HILTOXY is an acronym for? It is interesting that you see the composition for “Frio Bend” as an L with an X. I immediately saw a Y when I looked at it. The HILTOXY rule of thumb is easy to remember when grappling with compositional questions. Other things I was taught in art school was too keep slightly off center, to be more asymmetrical, and to use the triangle compositional layout. Juror-assembled shows are ridiculous! Compositional theorems in the 21st century are fraught with outmoded and over-used rules that determine how to keep doing what everyone else has done again and again… for Christ’s sake, be different… take chances… screw around with the journey the eye takes or quit painting and buy a camera. I rarely got in juried shows but, I started selling way ahead of my friends and continue to even now. I think for the most part jurors are people who can’t do art, only look at it!! I value no one’s opinion except the person who buys my art!! Joe, You are soooo right! I seldom was chosen for a juried show, however take first and second place ribbons and sell at non-juried shows.??? Most Judges do not do art! I just went to see the Los Angeles Art Show at the convention center and was pleasantly surprised at the contemporary work shown there. Although I thing it’s important to know the information in Edgar Payne’s book on composition, it’s equally important for todays artists to stay abreast of current work being shown in major galleries and museums today. O.K. you may not like all of it – you may not get it at all, but it’s still important to see everything on the current art scene, not just juried shows with traditional realistic landscapes, etc. Only then can you see why breaking the rules can be enlightening and maybe even transgressive. I like it all. I “failed” 2nd year painting in college, but won the runner-up painting award that year. Awards were voted on by other staff and students. And regarding a particular painting of which I was told by my instructor to “stick to drawing,” well, it sold two years later for a good amount. Go figure. I agree with your comments on composition, and I, too, hand out juror sheets relating to composition and other elements intended to aid in minimizing problems in paintings. One of the best books I have found relating to understanding compositional elements is Edgar Payne’s book, Composition of Outdoor Painting. It not only describes the elements of composition, but why they work, and suggests when to try them and combine them. His basic premise is that the best ally an artist can have is knowledge, and his book also provides that. Not wanting to comment on the book mentioned above ‘Composition of Outdoor Painting’ as I have not read it, but the title makes me laugh. A good composition is the same whether you paint indoors or outdoors. There are no special rules for painting outdoors. There is one artist in particular who always stands out in my mind for the strength in compositions. He is Gustave Caillebotte. 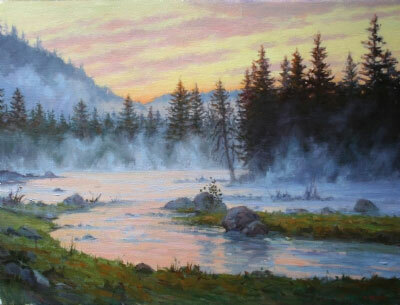 Here is an example of one of his paintings that I especially love. This is such a simple and straightforward presentation of life — you can almost smell the varnish remover and the sweat of these guys working! Although this painting looks like it could be found in a gallery today, it was actually done in 1875. Caillebotte was a member of the French Impressionists. In fact, he funded some of their exhibitions and his purchasing of their work kept many of them afloat financially in the early days. What I so love about his work is his daring compositions. This painting is a good example of his subtle mastery. The figure on the right directs his gaze (and therefore ours) to the center figure which is linked to the farthest left figure by a pile of shavings on the floor. Above him there is an amazing vertical stripe of turquoise blue and the bright window full of sunshine streaming into the room which leads us down to the strips of scraped floor, or we move on across to the blue wall which leads to some rubble and further on to the wine bottle – but eventually, no matter where you look, you end up with the figures again — and around and around we go. 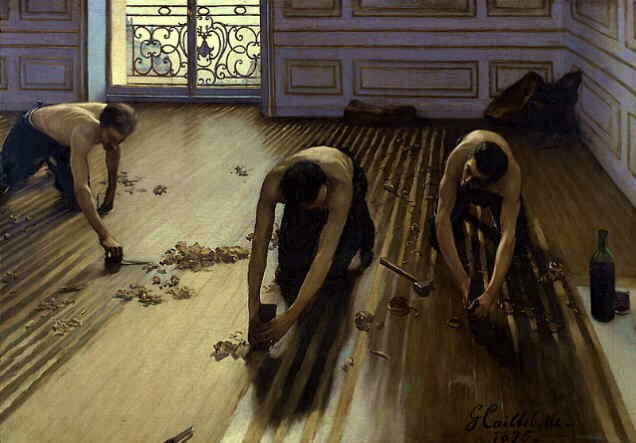 Note the upcoming Exhibition at The Brooklyn Museum: Gustave Caillebotte: Impressionist Paintings from Paris to the Sea. Good stuff as usual, Robert. Thanks! You may not be familiar with the visual building blocks of painting I designed some years back. Since artists are visually oriented, I wanted to stay away from verbiage and design a set of easy-to-understand symbols which can instantly remind a painter what to do and think about during the creative process. These symbols are not “rules” but guidelines based on the experience of those painters who have gone before us and of course, apply to any medium and most styles. They are fully explained in The Watercolor Fix-it Book as well as on my DVD by the same name. A studio poster with a short synopsis of each symbol is also available and they are introduced on my website. After teaching this system for about 15 years now, I find the more one gets into using these symbols and understanding their full meaning, the more helpful they become. They also form a great checklist in finding just what is wrong with a painting. Yes indeed! I must say that the above Fix-it book is exceptional, – a design and compostion Gem, suitable for any medium. Mr. van Hasselt’s co-author is Judi Wagner. Both artists make this book all the more valuable because of their paintings, rendered with such a crisp and distilled attack! Watercolor at its best. It’s always a pleasure revisiting this book. …how nice to see that you too, are a reader Mr. van Hasselt. All the Best. This list is great! Well worth posting in the studio as a reminder. There are so many characters, though, I think it would benefit from a mnemonic to help us remember. The best I could come up with in a few minutes is “Soil times morph?” S O ! L x M () ^ P H ? I moved some of your characters around and used the circumflex as a caret to indicate the missing letter “r”. This gives an overall picture of grounding, change and questioning… all aspects of creativity, I think. What governs the positioning and the relationships of parts has to feel right to me as I work. When they don’t seem to be in a relationship that means anything, I keep moving or changing them. I see this as choreography. 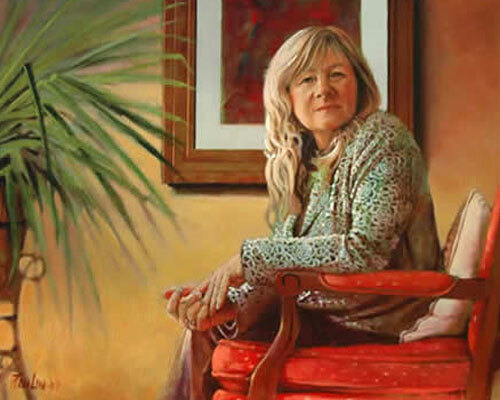 It is always about how things within a painting relate to the edges of the painting and to one another. I have always been very interested in paintings in which the compositional order seems to be as important, as visible you could say, as is the imagery of the painting. That is the case in Medieval and early Renaissance painting more than in the high Renaissance. It is true in Cubist painting. And, of course, it is the case in abstract painting in general. The painters you quoted from, Kandinsky, Bonnard, and Degas are very good painters to teach us about composition. Degas was always a master of composing and one who often broke conventional rules of what was thought to be good composing. Balthus, of course, was a great master of composition. Balthus taught himself to paint by making copies of Piero della Francesca and Masacchio frescoes. The best painters made copies of other painters’ works as a means of learning. There is no better way of becoming a better painter than looking at great paintings. I often teach aspiring artists how to approach an abstract and I’ve always stressed the importance of basic compositional rules. I agree with you that an artist can’t throw out good composition or design for emotion or message. I also mention to all students that they are guidelines only… not hard rules. 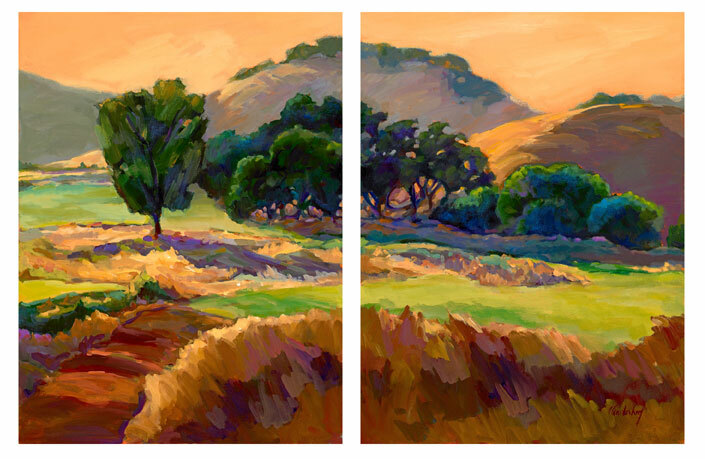 A good Artist can resolve compositional problem areas and throw out these guidelines when the painting calls for it. If it works, its works, don’t lose yourself in rules or in your love for the piece. I guess I bring this up only because the new-to-art individual may think abstract paintings are basically painted with a stick and a rag and there isn’t anything to it and of course anyone can do it. The fact is… non representational work needs structure (the same guide lines as realistic paintings). You have come up with a great way for folks to understand the important “keys,” and as usual make it seem simple. As a workshop teacher, I note that many of neophyte students do not have a clue about composition. Looking at paintings in galleries where I exhibit, I note many paintings that show similar naivete. I think the problem runs deeper than composition. Once at a gallery opening, I was asked about one of my paintings. As I was telling this woman about my design strategy, she was surprised with the idea that I consciously planned to entertain my viewer’s eye in my paintings. I showed her the various compositional schemes in a group of paintings. It was all a revelation to her. I tell students that they are like the director of a movie, like the great Alfred Hitchcock. He made drawings that laid out each scene and each image was carefully considered for visual impact. I believe many artists aren’t considering the viewer. The painting process becomes a total ego immersion for the artist. Historically this is a very silly notion as artists have always worked for other people. Composition is not rocket science. 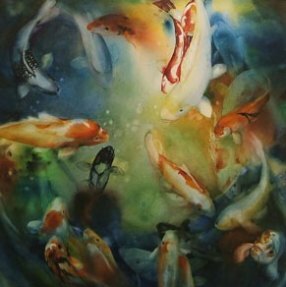 As your excellent synopsis shows, with a bit of thought there are many options available to us to create a well composed painting. A strong composition grabs attention in a gallery where many paintings are randomly configured. Painting should be pleasing and exciting to the eye. I have read your letters for a couple of years now and finally need to brag about my son’s painting. Greg is a realism painter. There are many out there. But what his buyers almost always say is that they love his composition. Greg majored in photography. I wonder if some just have an eye for composition? He spends hours setting up his pictures and thanks to digital photography takes dozens of pictures. To some, his paintings may look too rigid. And it may be easier in that he is not working with Mother Nature who can be beautifully difficult. But I am aware of how hard he works to get lighting, shapes, colors, reflections and textures to his satisfaction. Perhaps composition is just in the elbow grease. Just would like to tell you how much I enjoyed Greg’s site! Such a great mind! His work may be rigid in one way but his fun ideas make it so much fun to look at! Loved it! It is funny that only yesterday I wrote this for a group on a Ning site that I am offering my services to. The topic was composition. I realized that so many of the beginning artists didn’t realize how important composition is. In fact, why not just start here always, when beginning a class. “In search for the perfect beginning,” quoted by Robert Henri, painter and teacher. Have you ever painted a painting and no matter how much detail or paint you put on it, it was destined for the trash. 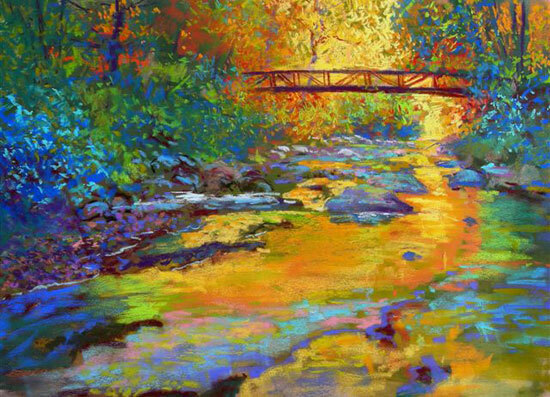 In the same respect, have you ever done a painting that was flowing so freely that you completed it in a no time? How important is the beginning of the painting? It is very, very, very, important. Did I say very? Yes if you don’t have good bones to the painting a good foundation to the painting in the very beginning, no matter what frills you add it will not work. Have you ever seen a small painting from afar and it carried; I mean the shapes, the patterns the values visible. So many times we believe that if we add more it will be a better painting, “First the dog then the fleas.” Less is definitely more. So many of us don’t know the rules of a good composition. Now I don’t like rules, they are meant to be broken, but you must learn them first and then you may have permission to break them. I remember I once heard that prior to being 10 years old, we easily did great compositions, because we were using the right side of the brain. But, when our brain matures and the left-brain gets involved, we sensor, we forget what was innately part of our being. So, I guess we are back to learning some basic rules. Now composition can be done with line, color, shape and value. An entire painting can be off, but you could balance it in the corner by a dominant splash of red. Or you can have a wonderful composition and the values are all off, so if you squint your eyes it looks like one shape. Take a black and white photo of your painting and you will see the values. All of the above aspects are very important to give you the dynamic and fabulous painting you desire. Let me give you another example, Have you ever done a still life fruit and a vase of flowers? Is every object spread out? Or did you try overlapping some and maybe even going off the page with others, using the full canvas or paper. Composition is one of my favorites and I want to take the next week studying the elements of a good composition. Make it your own and push it. But first let us learn the basics. This is the foundation of a great painting. If you have any paintings that you want critiqued in regard to composition please post them. It will give us an opportunity to see it in action. Dear Robert, I am a photographer whose current creative challenge is a careful reexamination of my compositional habits. So your letter is perfectly timed and appreciated. Each of your compositional keys makes sense to me with the exception of “Patches.” This is a new idea to me and I haven’t a clue what this might me. Would you or one of your readers mind clarifying this notion? Thank you! I take patches to mean shapes. For me, painting is a composition of shapes, drawing is a composition of lines. In the letter, the most important aspect of the means of composing has been ignored. The purpose of all these techniques is to lead the eye to the focal point. Placement of the focal point in a painting is critical. No doubt, that will be the subject of a future letter. Thanks for the recent compostion email. I am in the middle of a painting that I have screwed up royally. It is a requested painting from a daughter in Florida. We live in NJ. I took a number of photos of the scene just cause I loved it when visiting last year. I’d kill for the opportunity to put my easel up along side the road and sketch it on the scene. I am dealing with digital colors and composition that I wasn’t thinking about when I took the pictures. I’ve got a 40″ wide 30″ high that I started that is wrong perspectively speaking and oh crap not my choice of view as a painter. I need to start it again paint over the crap and begin where I wish I had viewed it from. It’s frustrating but necessary to make a composition that is not fantasy and will give me the feeling of the view. That’s where I am, wish I had the canvas at the side of the road where I could paint it properly. My take on “Patches trump lines” is that patches create more visual interest than lines. A long time ago, I done an exercise just to show this difference. You can take a piece of paper draw random lines on it, and you get something boring. Now -using different colors- fill the spaces between the lines (patches) and it become something interesting. Anyway, my 2ct. Robert this is excellent. I have just overworked two paintings in a row. And you reminded me about some of the elements that went wrong. Very helpful. Sometimes I get so close to the trees (they ARE trees) that I cannot see the forest, and it gets too regular. 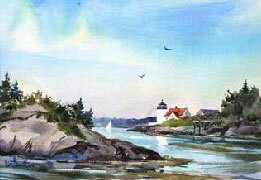 I am a professional architect of 31 years and fairly recently returned to painting. These concepts are so true with architecture as with fine art. Thank you for many moments of introspection, reflection and calls to action. In times of discouragement, I have gathered my inner artist core and drawn (sic) up its dignified self to reach out to meet the text and the ideas conveyed therein. Plainly stated, it has kept me going, for a lean artistic year, helped me forgive myself for not painting, reminded me that everything I see and do is colored by my artistic eye. Robert, I wish you could give examples. Most I understand but not the () or the L or the ! or the P. Is this all in a book by Kandinsky? I had just been juried to be on the local art studio tour and then I read the latest letter… I am faced with 30 new compositions to create, and I have (thankfully) a series of photos that I have taken, BUT I did need to be reminded of the perils of just copying your photos, and not adding that important thought that you have with, normal speed paintings! thanks.. you are a stable rock in the creative world for me!! Thank you very much for subject of ” Compositional Keys”. It gave me a greater insight on what makes a great composition. Sometimes I don’t usually think of where objects or a subject are positioned. When I see something that interests me I paint them as I see them. With regards to your recent letter about Composition Keys: I found it very helpful and forwarded it to the 14 other members of my fibre arts group, the Fabricators. Those that are true artists and interested in composition replied that they found it very useful, but we all seemed to have trouble understanding “!” Would you be so kind as to clarify what this symbol is intended to mean. Some of us thought it was the vertical elements within the composition, others were thinking it was the “WOW” factor. What did you mean? Speaking of ‘possessing’ what ever possessed you to come up with such an unwieldy combination of characters? If I could remember all that it would seem that I’d have the intelligence to paint the Sistine ceiling blindfolded, over night. I may exaggerate just a little there, but I’m really amazed that some hasn’t mentioned to you before this that the majority of us have trouble remembering our license plate number and we see that every day. You’re a great guy but I think you’re expecting too much from us everyday average folks who are simply struggling to paint a picture. JUST POKING FUN AT YOU, NO OFFENSE INTENDED. 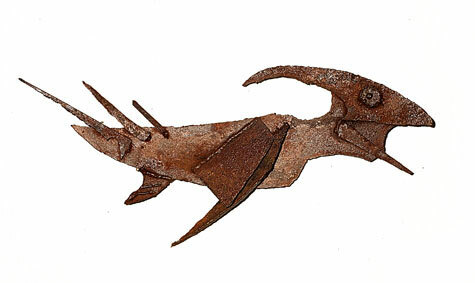 I’m emailing from a small town in La Union, Philippines, after a successful exhibition in Manila. I’m reconnecting with places I remember as a child and re-tasting the exotic fruits. Yummmm and things aren’t as big as I thought they were (heard it before, right?) There are a lot of things to paint here: it’s almost overwhelming. I’ve tired out my G7, I’m afraid, and am now using a borrowed camera for the things I can’t sit and paint for. One of the things I’ve been focusing on in my on-the-spot trials is composition. This particular letter came at just the right time to help me out of a boring watercolour of a magnificent cattleya, which there are already millions of paintings of. No matter how magnificent, I couldn’t seem to get interested in starting the painting until I redesigned and “doctored” the composition. Now I’m on a hot trail again. Happy Chinese New Year! Yes, it’s celebrated here also. Too complicated for me, Robert. Sorry, but I agree with Jane. It’s just another set of abstractions to interpret. I agree with your basic statement that composition can make-or-break a piece of art. When I was in school, we were required to study composition through doing and thus seeing and feeling. It was the best way for me to learn. I’m still learning, but it seems to me that there is a simpler way of grasping the principles. By the way, Edgar Payne’s book is a great guide, and I also recommend it. The concepts apply to any of the visual arts. But I’d suggest that folks look around. “Composition of Outdoor Painting” is available at less than $50 (new or lightly used) plus shipping from a number of reliable purveyors. An old trick for those of us with less expertise in the subject matter of composition. 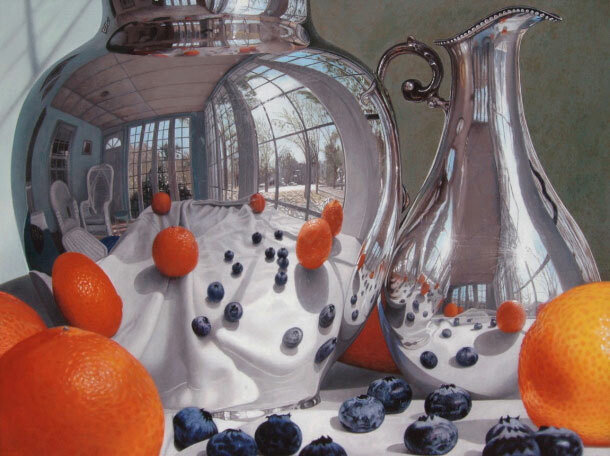 If you don’t have the strong training or can’t remember the rules or just have a hard time grappling with them, turn your painting upside down and look at it in a mirror. This forces you to view your painting not only from a fresh perspective, but also as a composition of color, lines and shapes. Most of your composition (and value) flaws will become instantly apparent. Not a perfect technique, but an easy, quick check. A good check to take even if you don’t think there are any flaws in your creation. You’d be surprised at what you spot. There are head paintings and heart paintings. If you think about it too much you get the head painting. If you paint from the heart you don’t have to think about the composition it will already be there. AMEN ! Say no more Scharolette. On the light side, think your Mom was influenced by the same left brained English teacher as was our guru ? The last two – let me guess, you consider yourself “heart painters”…wishful thinking! I see many paintings where the artist looks like they just tried to get a likeness of the figure or face or landscape and had no thought as to composition. I don’t remember where I was taught this but I try and have three “reads” in my paintings. My successful ones have this. I want the viewer to go to the central focal point first, and then see the secondary point and then the overall image. This can be achieved in many ways either with edges, tone or color or in combination of the three. The eye will always go to a sharp edge as will it go to the area in most light or the brightest color. In this manner an artist can “lead” the viewer around the canvas. Odd compositional placement of the subject (i.e. Degas) also forces the eye to travel around the canvas. I’ve been told that most of my paintings have a diagonal line somewhere. I always thought this unintentional on my part, but it actually is ingrained in my style as well as my psyche. Lines point and lead the eye. Psychological thinking shows that the mind wants to create order and symmetry any time we see things, so when something goes against this, the viewer sees it subconsciously and it becomes an area of focus. All this comes with experience and training and learning about painting in general. Just copying what you see in my opinion is not doing the job as a painter. I need to say something about the subject. Make a point. Show something that may not be seen. If I wanted an exact copy, I’d use a camera and take a picture. Composition next to value is the most important aspect of painting. Color isn’t as important.